Patients with low educational attainment may be at increased risk for unplanned health care utilization. This study aimed to determine what factors are related to emergency department (ED) visits in hopes of guiding treatments and early interventions. 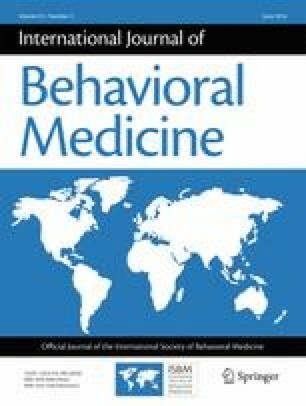 At two medical centers in the Mid-Atlantic United States, 258 adults with sickle cell disease aged 19–70 years participated in a retrospective study where we examined whether education level is independently associated with ED visits after accounting for other socioeconomic status (SES) variables, such as pain and disease severity and psychosocial functioning. The data showed that patients without a high school education visited the ED three times as frequently as patients with post secondary education. Controlling for poverty and employment status decreased the effect of education on ED visits by 33.24 %. Further controlling for disease severity and/or psychosocial functioning could not account for the remaining association between education and ED visits, suggesting that education is independently associated with potentially avoidable emergency care. Early interventions addressing disparities in academic performance, especially for those children most at risk, may lead to improved long-term health outcomes in this population. The primary author would like to thank Andrea Ball for her indispensible intellectual contributions and editing assistance in the preparation of this manuscript. Study data were collected and managed using REDCap electronic data capture tools hosted at The Johns Hopkins University. REDCap (Research Electronic Data Capture) is a secure, Web-based application designed to support data capture for research studies, providing (1) an intuitive interface for validated data entry; (2) audit trails for tracking data manipulation and export procedures; (3) automated export procedures for seamless data downloads to common statistical packages; and (4) procedures for importing data from external sources. Dr. Haywood is funded by a career development award from the NHLBI: 5 K01 HL108832 02. Dr. Jonassaint was supported by grant number K12HS022989 from the Agency for Healthcare Research and Quality. The content is solely the responsibility of the authors and does not necessarily represent the official views of the NHLBI or the Agency for Healthcare Research and Quality. This study was approved by the Howard University and the Johns Hopkins Hospital Institutional Review Boards. Williams TN, Weatherall DJ. World Distribution, Population Genetics, and Health Burden of the Hemoglobinopathies. Cold Spring Harbor Perspectives in Medicine. 2012;2(9). doi: 10.1101/cshperspect.a011692.